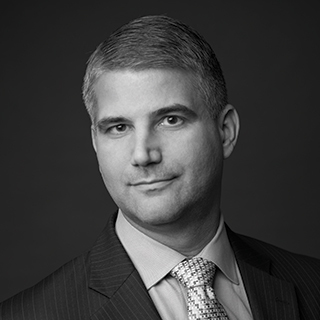 Lewis Ripple is an Associate Director for eDiscovery in FRA’s Washington, DC office. Lew develops client-facing engagement and management strategies, and serves the United States market with FRA’s forensic, eDiscovery, and GDPR compliance capabilities. Lew has over 14 years of experience as an eDiscovery consultant. He has managed numerous past eDiscovery client matters involving cross-border data and ESI, with data privacy considerations such as compliance with the China State Secrets law, and the EU data protection directive, and is familiar with recently enacted jurisdictional data privacy laws, including the pending GDPR requirements which took effect in May 2018. He is a member of the Sedona Conference Working Group WG 11 regarding Data Security and Privacy Liability. Large Class action pharma product liability litigation involving side effects from a high blood pressure medication. For over two years, prior to a $300 million settlement, Lew directly managed a team of six in the day-to-day supervision of the review support team with internal stakeholders from the Managed Document Review (MDR) team, as well as in-house and outside counsel team members performing regular first level and second level reviews, depo prep, and privilege log review workflow. Data came from hundreds of custodians and multiple jurisdictions, including foreign language data from Japan and Germany, and subject to data privacy concerns. MF Global bankruptcy and investigation – Lew assisted in managing the identification of potential data sources and collection and preservation of paper and electronic documents from hundreds of custodians, and supervising teams of 80-100 people in performance and documentation of these workflows, over the course of one and a half years.